Ankle weights are cheap, effective and versatile ways of getting the most out of a work out. They can be used for strength, endurance and speed training and come in a variety of weights. More often used by runners to improve the speed, they have now come off the track field and onto the streets (and ankles) of people wanting to get fit with promised benefits of better toned legs, increased endurance, more burnt calories, etc. People now use them for a variety of workouts and some have taken into the practice of wearing them all the time. But should they be worn the whole day? The answer may vary from one person to another since people are built differently. But knowing the right answer may be the difference from getting nicely shaped calves and a range of injuries. What Happens To The Body When You Use Ankle Weights? 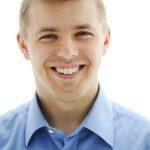 Initially, they increase the amount of work the legs have to do because of the additional weight present. The muscles in the glutes, thighs, hamstrings, and quadriceps have to put in extra effort. This added work results in an increase in heart rate and muscle activity supposedly making the work out more effective. A study found that when used in running, they help burn more calories as a result of the increased cardiovascular exercise which then also increases the metabolism rate of the subjects. However, in people who have histories of joint, ankle, or knee pain and injuries, the use of ankle weights might do more harm than good. Since it puts additional stress on these areas and may cause further injuries. What Happens When You Walk With Ankle Weights All Day? For moderate activities like walking around the office or walking around at home, wearing ankle weights for long periods is fine. But there has to be a period of adjustment for the body to get used to the weights. Additional weight on the ankles and feet could change the way a person walks, resulting in pain in the hips, legs and ankles, which may be why it isn’t advisable to use the weights while brisk walking. Yes, using the weights burns more calories; but there is a higher chance of injuries from the strain on the joints. Related: Do Ankle Weights Work (PROS & CONS)? What Are The Ways Ankle Weights Can Be Used Safely? When used in running or jogging, maintaining a steady pace is important since it reduces amount of strain put on the ankle. The weights should be less than three pounds and should only be used a few hours at a time to give the body time to rest and adjust to the changes. They aren’t replacements for regular athletic training either. Runners who may want to improve their speed by using the ankle weights all day may find more benefit and less injury in just increasing the intensity of the run. Wearing ankle weights does have its benefits like added cardio, increased endurance, and muscle growth. It’s something that can integrated to workouts to make them more effective. 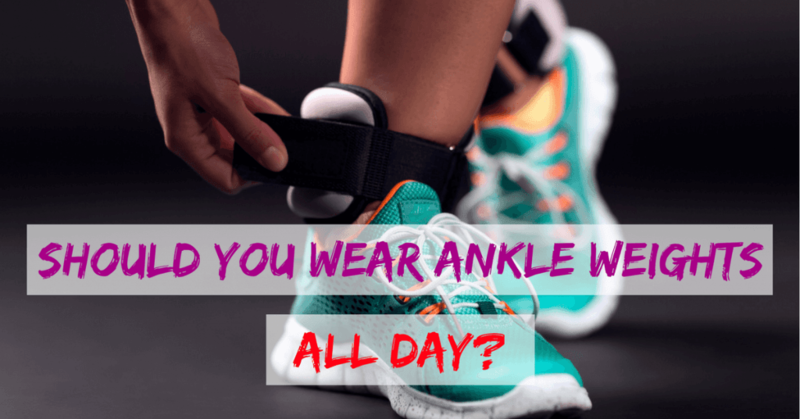 But when wearing ankle weights all day, there is a higher risk of injury especially when you strain yourself. This could cause bigger problems later on. The bottom line is that you have to be careful not to over-work yourself and let your body adjust to use the weights. It is imperative that you also listen to your body and know how much your body can stand.